With Easter approaching, it’s time to start planning a delicious menu your family and friends will love. Our favorite part of any menu is dessert! Join us in celebrating Easter with this simple recipe! Preheat oven to 350º and line a baking sheet with parchment paper. Roll out the pie dough and using a glass, begin to cut out circles. Continue this process until you have used all the dough. Place a dollop of peach preserves in the middle of each circle. Brush the edges of the pie dough with egg wash and place another circle on top crimping the edges to seal. Bake for 15 minutes and enjoy! This month, we’re focusing on what we put in our bodies in celebration of National Nutrition Month. After scouring the Internet, these are our favorite tasty and nutritious recipes to help you celebrate right along with us all month long. Acai Bowls: Craving a delicious and refreshing breakfast? Then give one of these Fitness Magazine approved acai bowls a try. This thick smoothie bowl is simple to make and can be topped with your favorite fixings. We love topping our bowls with rows of tasty ingredients such as fresh fruit, shaved coconut and Mixed Berry MetaBall. Chocolate Chia Seed Pudding: Chia seeds are full of antioxidants and Omega-3s, making them a powerhouse ingredient. Chia seed pudding is easy to make and is great for an on-the-go breakfast. We love this decadent Overnight Chocolate Chia Seed Pudding from Minimalist Baker. Try topping it with Chocolate Brownie MetaBall and raspberries for a sweet treat. Overnight Oats: These Overnight Oats from Skinny Taste are a simple way to enjoy a filling breakfast. Place your oats, milk and toppings in a jar and shake to combine. Refrigerate them overnight and you’ll have a convenient breakfast to enjoy in the morning. We love topping our oats with chopped Apple Pie MetaBall. Looking for more snacking inspiration? Follow us on Facebook where we’ll keep you updated on all the best recipes! Oh My, It’s a Pi Day Celebration! Calling all educators! March 14th is Pi Day and we’re celebrating this mathematical constant with fun classroom activities and treats you’ll want to make long after Pi Day is over. Are you looking for fun ways to celebrate this holiday in your classroom? Try bringing in Wholly Wholesome All Natural Frozen Pies, let your class find Pi and then enjoy a slice! Or, after discussing the significance of the number, host a pie eating contest for all your students! Go savory and host a pizza party for your class! 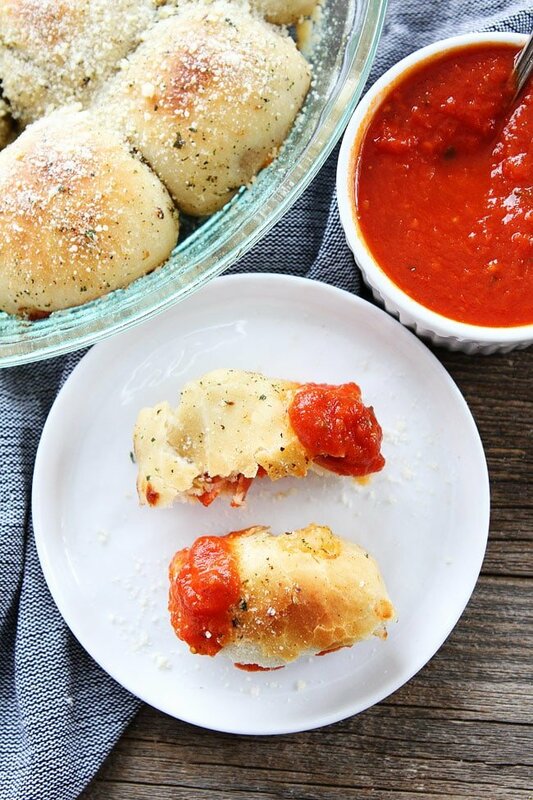 Use Wholly Wholesome Gluten Free Pizza Dough Ball to bake a few pizzas the night before. Once Pi Day arrives, have your class find Pi before digging into each pizza! Take it one step further and have them find the measurement of each Pepperoni! You know what they say, breakfast is the most important meal of the day. That’s why this National Hot Breakfast Month, we’re celebrating this meal with some appetizing recipes! Making a mouth-watering quiche is a great way to enjoy a hot breakfast. One of our favorite recipes includes loads of fresh vegetables like spinach, mushrooms and peppers. This light but savory quiche is a healthy way to kick start your day! The next time you wake up craving something sweet, reach for this recipe for Gluten Free Pecan Cinnamon Rolls. Wholly Wholesome Gluten Free Pizza Dough is the perfect base for this recipe. Simply roll out the dough, sprinkle it with toppings, roll it up and bake! Brighten up a cold winter morning with this recipe for a Breakfast-Style Focaccia. Use Wholly Wholesome Gluten Free Pizza Dough and top with peppers, bacon, breakfast sausage, cheese and eggs. So next time you’re craving a hearty breakfast, skip the cereal and choose something warm and comforting! For more satisfying breakfast ideas, visit our recipe page! With Valentine’s Day right around the corner, we’re filled with love and want to celebrate in a fun and festive way. And what better way to express our love than with a Heart Shaped Hand Pie! While the oven is preheating to 425 degrees F, use a heart shaped cookie cutter to cut an even number of heart shapes from the pie crust. Place a layer of hearts onto a parchment lined baking sheet. Place a tablespoon of filing and a few chocolate chips in the center of each heart. Brush the edges with the egg wash. Place a heart shaped pastry on top and seal the edges with a fork. Cut a slit in the top of the pastry and brush the top with the egg wash. Bake in the oven for 10 minutes. We recommend serving these pies warm with a scoop of vanilla ice cream! Craving more pie recipes? Visit our recipe page for a variety of heavenly recipe ideas! Who doesn’t love pizza night? Ditch delivery and get creative in the kitchen for the perfect pizza night. Enjoying homemade pizza doesn’t mean you have to spend hours in the kitchen. Make pizza night easy and delicious by whipping up creations using Wholly Wholesome Gluten Free Pizza Dough Ball. If you’re struggling with some yummy topping combinations, don’t worry. We’ve cooked up a delicious idea you’ll be dying to try. Thaw dough in the refrigerator overnight before your pizza night. Roll out pizza dough into desired shape on a cornmeal dusted surface, in between two pieces of parchment paper. Top with one-quarter each of the mozzarella, parmesan, cherry peppers, soppressata and radicchio. Bake for 12-15 minutes or until the crust browns. During the cold weather months, we gravitate to comforting recipes. One of our favorite comforting dishes is a classic pot pie! We all know (and love) the classic Chicken Pot Pie. But this month, we’re switching up the way we think about this winter staple by putting some fresh twists on it. Go savory and enjoy a yummy pie for dinner. Don’t worry, we’ll be there to help you with our Wholly Wholesome Traditional Organic Pie Dough. Winter Vegetable Pot Pie: Take advantage of seasonal produce like root vegetables, mushrooms and squash for a delicious filling. You won’t miss the meat in this hearty dish! Lobster Bisque Pot Pie: Swap out a chicken filling for a creamy lobster bisque. This rich and indulgent meal will re-introduce a bit of summer back into your chilly winter days. Cajun Turkey Pot Pie: The average turkey pot pie can be a little bland. Add some Cajun seasoning, dark beer and peppers to your filling for a flavorful twist! Whether you’re craving a traditional pie or something a bit more adventurous, every chicken pot pie recipe is better with Wholly Wholesome Traditional Organic Pie Dough. Our flaky recipe for pie dough will make a yummy golden crust every time! Here at Wholly Wholesome, we love baking. Whether it’s pies, cakes or savory dishes you can count us in! This January, put your skills to the test and celebrate #NationalBakingMonth with us. We want to help you become the best baker you can be with a few simple (yet effective) hacks. Hack #1: Making your own buttermilk. Nothing is worse than buying an ingredient for a dish and not having another use for it. Next time you need to bake with buttermilk, make your own by combining 1 cup of milk with a tablespoon of lemon juice. Once combined, let it stand for 5 to 10 minutes. Hack #2: If you’re gluten free, make your own flour by grinding oats in a blender until they’re powdered. You’ll have a multi-purpose flour in no time. Hack #3: Are your bananas still not ripe enough to bake with? Cook them in a 300 degree oven for 30 to 40 minutes on a lined pan. As soon as they are black and soft, remove them and allow them to cool. Squeeze the banana out of the peel and then you’re ready to bake! Hack #4: Nothing is worse than when you need softened butter, but you forget to leave it out in your prep work. The right way to soften your butter via the microwave? Make sure you’re using power level two and cook the butter for 8 to 10 seconds. Flip your quarter stick and repeat! Hack #5: Go premade. Now, you may think we’re kidding. But we aren’t! Premade desserts can be just as good as the real thing! Wholly Wholesome All Natural Frozen Pies are perfect for when you’re craving a homemade dessert but don’t have the time to bake one. With a wide variety of flavors, they’re the perfect end to any meal (and the baking world’s worst kept secret)! Check them out here!